The British Royal Fleet Auxiliary Ship Wave Knight will visit Havana December 13-20 on a routine stay related to disaster training activities in the Caribbean area, the British embassy in Havana announced. High-level officials from Cuba and other institutions involved in dissaster response will attend a series of meetings with the crew of the Wave Knight to exchange views and experience on rescue operations and the fight against drug trafficking. The agenda of the British crew includes a visit to the Cuban Naval Academy and other activities, the announcement explains. British ambassador to Cuba, Tim Cole, said that the visit by the Royal Fleet Auxilliary to Havana is an excellent opportunity for the United Kingdom to share its experiences and viewpoints with the Cuban government in the field of disaster response. These issues are crucial for both countries given the large number of British tourists visiting Cuba every year. The Royal Fleet Auxiliary or RFA is a civilian-manned fleet, owned by the British Ministry of Defense, which supports Royal Navy ships around the world, supplying warships with fuel, ammunition and supplies. The RFA fleet is fully integrated into the Royal Navy’s command and control system and forms a vital part of maritime operations. The 17 th International Craftwork Fair, FIART 2013, was inaugurated on Friday at the San Carlos de la Cabaña Fortress in this city, in the presence of exhibitors of 16 nations. During the inaugural speech, Jorge Alfonso, director of the Cuban Fund of Cultural Assets, pointed out that starting from Sunday and until December 22 the Fair will be accompanied by a wide program of activities. This edition, he added, will also include a variety of musical shows, mainly aimed at children and youngsters. He underlined that, on this occasion, FIART is dedicated to the province of Pinar del Rio and its craftwork for cigars, so a universe of pieces related to this aspect will be on display. Alfonso, also president of the Fair’s organizing committee, pointed out that this year there are 355 stands, 69 of which correspond to foreign exhibitions. As part of the program, there will be a theoretical meeting entitled “Today’s craftwork: challenges, opportunities and prospects,” on December 10-13, a colloquium in which participants will reflect on the main problems of the craftwork sector in the country. The Semester at Sea cruise ship, an academic program sponsored by the University of Virginia, in the United States, arrived in here today, nine years after its last visit. About 648 people arrived in the island, 568 of them are students from more than 200 universities in 42 states of the northern country, mostly Americans, but there are also students from other nations, such as Mexico and Canada. University of Havana rector Gustavo Cobreiro and a delegation from the higher education center boarded the ship after docking in the harbor to welcome the visitors. The objective of the stay here is that those students know this country’s history and the scientific development reached, while exchange with Cuban students from different careers, Jose Manuel Febles, director of International Relations department at the university, told reporters.During the stay in Cuba, the Semester at Sea students will also visit many universities in different provinces, and announced a meeting with the media for tomorrow. A bronze likeness of the Beatle, who was assassinated 33 years ago Sunday, was inaugurated in a leafy Havana park 13 years ago. But souvenir-seekers kept stealing the iconic circular spectacles that adorned it. Officials tried gluing them on. But they should have known better: Vandals simply broke them off. Enter Juan Gonzalez, a 95-year-old retired farm worker who lives across the street. For the last 13 years, four days a week, Gonzalez has showed up at 6 a.m. for a 12-hour shift, wearing a government security guard’s uniform and cap. As tourists arrive, he places the glasses on the singer’s nose and waits patiently as they snap pictures. When they leave, he gently tucks the glasses away in a shirt pocket next to his cigars. Gonzalez probably didn’t hear much of the Beatles in their heyday. He was already middle-aged and the communist government then frowned on rock ‘n roll and its long-haired practitioners. Not much of their music made it to the ears of farmers in rural Cuba and he moved to the capital only about 20 years ago to be with his daughter. But he says he’s a fan now. Despite his age, Gonzalez says he’s not ready to quit his mission to help preserve the memory of one of modern music’s greats, and to meet people from all corners of the globe. This group is composed of pachyderms -10 rhinoceros, five black and five white, in addition to six elephants-, which will be exhibited at the National Zoo on December 11, as informed to ACN on Friday by graduate Armando J. Barrios, a specialist of the center’s Department of Public Relations. The arrival will force the Zoo to close due to works derived from it. The park’s activities will resume the following day, and the public will also be able to enjoy the exhibition of a white lion, donated to the Zoo by Belgrade, capital of Serbia.A puma and its litter will also be exhibited. The first shipment of 131 animals of 20 species, also from Namibia, arrived in Havana in 2012, made up by 63 ungulates, 48 carnivores, 16 birds and four rodents. The group is composed of roan and heart-skinned antelopes, impalas, grand kudus, elands, gemsboks, springboks and African buffalos. Also, hyenas, lions, honey badgers, leopards, black back jackals, cheetahs, lynxes caracal, brownish-gray hyenas and bat-ear foxes.Ostriches, African vultures and porcupines complete the donation. All in all, Cuba has received from that African nation 147 animals of 23 species. The British cruise ship Thomson Dreams will call at Havana harbor on Friday with 1 200 passengers on board, as the U.K. is becoming the second major source of tourists to the island. According to the Cuban Tourism Ministry, the arrival of the Thomson Dreams is part of the commercial campaign being deployed by local tourist authorities to guaran- tee the success of the current high season. The ship will arrive here Friday morning and it will be welcomed by local tourist officials, the Ministry explained.The visitors will be able to enjoy the attractions of the Cuban capital city, one of the major tourist centers on the island, considered one of the most popular emerging destinations in 2013 at the world level, according to the Travelers Choice awards, based on the opinions of millions of clients on the TripAdvisor website. Over 127 thousand British tourists visited the island between January to October this year, 1.7 percent below in the same period last year, according to the National Statistics Office. 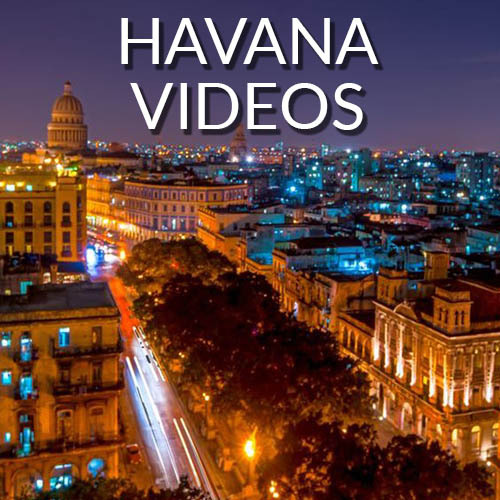 Havana tops 2013 World List based on the reviews and opinions of millions of TripAdvisor travelers around the globe – TripAdvisor announced the winners of its 2013 Travelers’ Choice Awards for Destinations on the Rise. The awards highlight 54 spots globally that have seen the greatest increase in positive traveler feedback and traveler interest, year-over-year. Havana, Cuba was the number one ranked destination for the top 10 in the world, and lists were also revealed for Asia, Europe, South America, South Pacific, and U.S.
Driving It sure felt that way in the tiny garage where Fernando Varera kickstarted a vintage Harley-Davidson. The BLAT BLAT BLAT of a 50-year-old hog is unmistakable and can probably send big enough soundwaves to start an earthquake. After his small audience flinched, surprised by how loud that hog could snort, Varera, who restores old choppers and Harleys here, laughed like it was his birthday and said, “Yes! Scary, isn’t it?” This particular Harley he was displaying, with his chest puffed up and a big grin, was used by the Cuban police back in its heyday. In the late 1920s, former Cuban president Gerardo Machado made Harley-Davidsons the official motorcycles of the police. Fernando Varera’s garage in Havana, Cuba, is full of old Harleys. “Look,” Varera says, with something mischievous obviously on its way. He points to the button that starts the sirens.“I like to use it when I’m in a rush,” he says, stomping his feet and bending over from about of maniacal laughter. He takes off his glasses to wipe away some tears. “Everyone gets out of my way. ”Although they say all Cubans are mechanics out of necessity, Varera does it because he thinks it’s fun. He also comes from a long line of mechanics; his family repaired boats for the Spanish army before landing in Cuba.“The world of Harleys is a very special one,” he says. “People will pay very big money for them, even if they don’t work.”Luckily for Cuban Harley lovers, good ones in working order, although rare, can still be found despite the 50-year-old embargo from the United States. Varera says he once found a Harley-Davidson on a farm that hadn’t been touched in more than 50 years. All it needed was a spit shine and some fuel, and it was running like it was 1962. He says it’s the solid build quality that makes Harleys such stalwart machines that continue to ignite passion in motorheads. Other times, Varera isn’t so lucky. The embargo makes it near impossible to find parts, so many of the Harleys he works with are actually bastardized, put together with parts from other bikes. Other tinkerers have also resorted to building and machining spare parts by hand. Cuban Harleyheads have to fight to keep their bikes alive, which likely makes their dedication even stronger. According to the documentary Cuban Harlistas: The art of Harley-Davidson maintenance in Cuba, there are about 150 of the classic bikes on the island, with about 80 still in working condition. After the embargo from the Unites States was enacted, the Cuban government began to see the hogs as a symbol of American imperialism, which made being a Harley fan a bit more difficult. Although the stigma has lifted, life as a Harley-Davidson aficionado still isn’t easy. Varera says the passion for HDs is obvious when Harley bikers on the island meet on the third Sunday of every June at the famous Colon cemetery in Havana. The rally, of which Varera is a dedicated patron, is called Dia del Motorista Ausente (the Day of the Absent Motorcyclist) in honour of José Lorenzo Cortes, a Cuban Harley mechanic and master restorer who allegedly disappeared in 1990. Cortes is a legend in Cuba, credited with being the father of the art of Harley maintenance on the small island. Fernando Varera’s garage in Havana, Cuba, is like a graveyard of spare Harley parts. Cuban Harlistas says that, in 1992, the Club of Classical Motorbikes in Cuba was established to help Harley lovers on the island organize rides and exchange information and spare parts. The club is admired by Harley organizations all over the world, because they appreciate how difficult it can be for Cubans to keep their bikes running. The club often gets donations of spare and tires from these organizations, and every little bit helps. The club’s rally has become sort of a mecca for Harley lovers from all over the world, and despite there being a language barrier, the passion for Harley-Davidsons is universal. The hog only speaks one language, and it’s a language of love and perseverance. 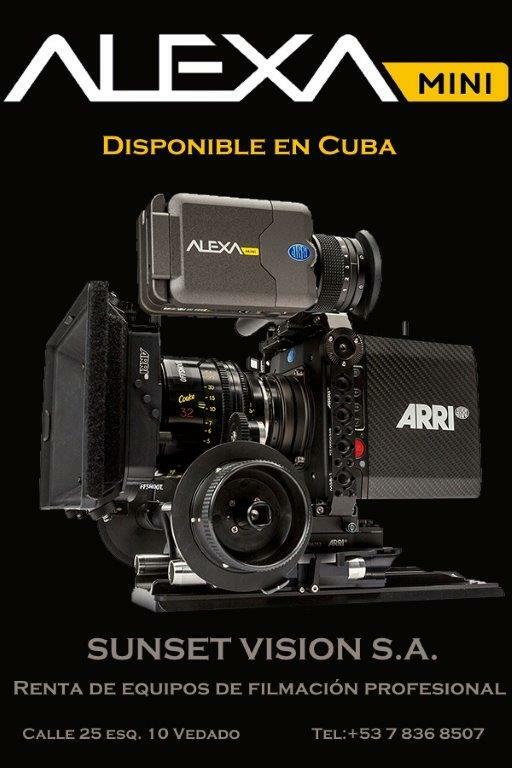 When there are only 6 days left for its inauguration, the 35th edition of Havana’s International Festival of the New Latin American Cinema, to be held on December 5-15 is already getting its last preparations ready for its celebration. In its first edition without its founder and main promoter, Cuban filmmaker and intellectual Alfredo Guevara, the prestigious Festival will include the screening of some 400 films, most of them from the region. Ivan Giroud, appointed in May general director of the Festival, said that the opening will e in charge of Cuba’s Contemporary Dance Ensemble, and that the first screening will be that of the Chilean movie Gloria, by Sebastian Lelio, which hopes to win a Coral Prize in Best Feature Film. Giroud specified that competing works are 22 shorts, 21 first works, 30 documentaries, 31 animated films, 25 unpublished scripts, 33 posters and 21 feature films, a category that includes two films by Cuban directors: Boccacerias habaneras, by Arturo Soto, and Jirafas, by Enrique Alvarez. As special moments of the Festival he mentioned tributes to Cuban filmmakers whodied recently, like Daniel Diaz, Camilo Vives and Alfredo Guevara, along with the world premiere of the documentary Mercedes Sosa, la voz de Latinoamerica, by Argentinean Rodrigo Hernan. Two people are dead from torrential rains that lashed Cuba for more than 24 hours, island authorities said Saturday. The deluge caused multiple collapses in dwellings in Havana, Granma reported. A man and a woman were killed in one structure that caved in. Cuba’s Meteorological Institute recorded 2.8 inches (72 millimeters) of precipitation during a single three-hour period in the afternoon in Havana, and accumulations of up to 7.8 inches (200 millimeters) overnight. Workshops, lectures, and panels are scheduled for the 2nd Annual Gourmet Festival, “Flavors of Cuba and the World,” that, dedicated to drinks complementing fine cuisine, begins here today with an examination of audiovisual works centered around food. Four visual arts exhibitions, including three with photos and one with sketches, will open in the afternoon. 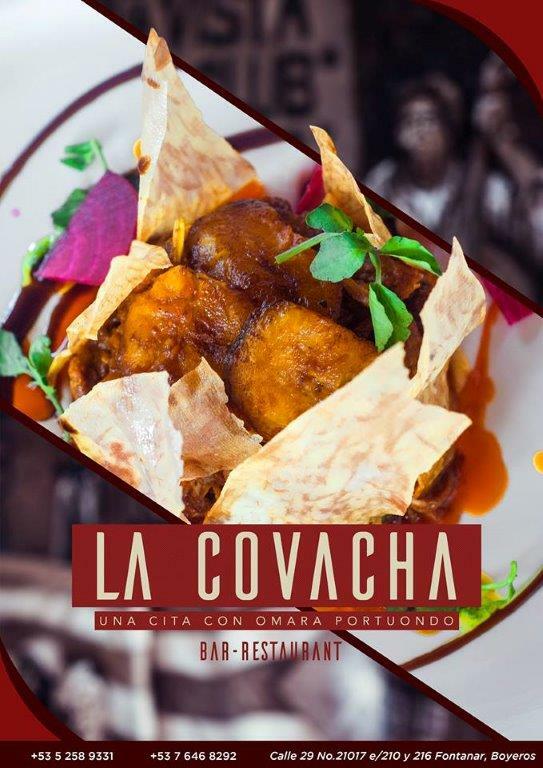 Running until Saturday, the theoretical portion of the program will include discussions about the combination of Cuban cigars and drinks, the revival of the traditional Mexican pulque (a fermented drink made from cactus sap), and the feeding of Cuban and Spanish soldiers during the wars for Cuba’s independence. Prior to the festival’s closing ceremony, winners of the photo contest “Eat, drink, feel,” will be announced, along with a book launch for “Historia empresarial del ron cubano” (Managerial History of Cuban Rum), by Miguel Serrano. Last year, Ever Fonseca was awarded Cuba’s National Prize for Plastic Arts (Premio Nacional de Artes Plásticas). To mark the honor, the Museo Nacional de Bellas Artes is presenting Ever Fonseca Evocación Lírica (Lyrical Evocation), a selection of works gathered from the MNBA, the artist’s own collection, and the collections of institutions such as the Biblioteca Nacional José Martí. Louis Cristal will have new satellite systems when she sails in Cuba. Cuba Cruise is to complete safety inspections and upgrade several areas onboard Louis Cristal before she crosses the Atlantic to start her inaugural season circumnavigating Cuba. The operator, which works in partnership with Louis Cruises, is currently carrying out necessary crew training exercises and installing new entertainment features including satellite systems offering North American sports channels and ceiling hooks for the aerial circus act. The line’s 25,611gt ship Louis Cristal will depart drydock in Greece on 24 November after the hull artwork is completed. Louis Cristal will embark on her first Caribbean season on 16 December 2013 and will sail seven-night cruises from Havana, Cuba and Montego Bay, Jamaica, until 31 March 2014. She will call at six ports, enabling passengers to visit the island’s six Unesco world heritage sites, four national parks and preserves, as well as its famous beaches and colonial cities. The vessel offers 480 staterooms and suites, lounges and restaurants. With the participation of dozens of competitors from across the country, the first phase of the Cuba Triathlon Cup will start next November 24, near Havana’s La Guayaba dam. The contest, which will start the 2013-2014 season, will include mainly youth level triathletes of both sexes, who seek to make up the national team towards the 2nd Youth Olympic Games in Nanjing 2014, Aurelio Romero,national commissioner, told the digital publication Jit. The main favorites to win the circuit are Victor Torres, Sunelis Sunset, Jorge Ezequiel, and Pedro Luis Gomez. The major absences in this early season will be the stellars Michel Gonzalez, Lisandra Hernandez, Ana Leydis Arias, Leslie Amat, Conrado Martinez and Anyelo Sainz, who by that time will be in the Peruvian city of Trujillo to intervene in the 17th Bolivarian Games. The national circuit will consist of nine scoring phases, and its completion is scheduled for mid next year. Ambitious plans announced last month by a Miami travel agency to offer small charter flights between Key West and Cuba beginning Nov. 15 have been pushed back to a Dec. 15 kick-off by Mambi International’s partners at Air Marbrisa Airlines. In a Wednesday e-mail to Peter Horton, the Monroe County airports director, Bob Curtis from Air Marbrisa said the delay is due to Mambi not yet having what’s called a 380 certificate. That document, provided by the U.S. Department of Transportation, establishes an operator, in this case Air Marbrisa, as a public charter based on specific regulations. Mambi spokesman Isaac Valdes said he couldn’t comment on the certificate but said flights will start Dec. 15. But “if we performed the service [of using Key West International Airport to fly to and from Jose Marti International Airport now], we would be in violation” of federal rules, Curtis wrote to Horton. “I won’t do that, therefore I have terminated any service for 30 days. It is our intent to begin the service on or around Dec. 15.” “Everything else remains the same,” Curtis continued. “All our licenses and approvals are in place. Last month, Horton cautioned that Mambi’s plans may be overly ambitious and Curtis said the company announced the pending flights to the media prematurely. The process of designating Key West International as an international point of entry began in 2009 with a request to U.S. Customs and Border Protection. Following that was a three-phase, two-year, $2.25 million project to have the airport reclassified as a federal inspection station, instead of the current label of a general aviation facility. Horton said the feds signed off on the upgrades in October 2011. Flights are scheduled to leave Mondays, Wednesday and Fridays at 3:30 p.m., returning the following morning aboard a Metro II turboprop plane. The round trip is slated to cost $449 and each flight, lasting about 30 minutes. The plane can accommodate up to 10 people, including the pilot. The last time planes regularly flew between Key West International and Jose Marti in Havana, just 90 miles from the Southernmost City, was in 1962. As an added value to the already increasing spiral of Cuban tourism, the holding in Havana of an unusual festival that aims to combine movies, drinks and meals late this month, was announced today. The 2nd Gourmet Festival, Flavours of Cuba and the world will be held in the historic district of Old Havana on November 25 to 30, with venue shared between the House of the Benemerit of the Americas Benito Juarez (House of Mexico) and the Lumiere Cinematograph. 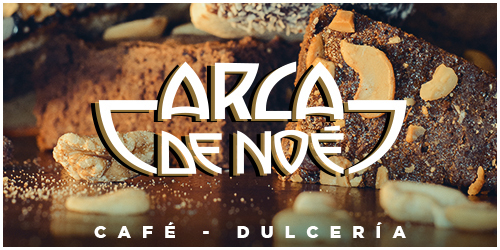 The director of this event, Alicia Garcia, told Prensa Latina that this (France/Italy), “Fresa y Chocolate” (Strawberry and Chocolate) (Cuba), Estomago: una historia gastronómica (Stomach: a gastronomy history) (Brazil/Italy), and “Cocina del Alma” (Soul Kitchen) (Germany). Theoretical sessions will include celebrities and experts, to clear many issues related to film and food. Young musicians from Cuba and El Salvador will perform at the 16th edition of the Jojazz Festival, dedicated this year to flutist Armando Romeo, a pillar of art education in Cuba. Gisela Vistel, director of the National Center for Popular Music, announced that Jojazz was opening up to new modes of participation, including instruments such as the flute and the oboe. Jazz musicians from different generations, led by Bobby Carcassés and Alexis Bosch, will make up the panel of judges who will evaluate the categories of performance and composition. The Salvadoran ensemble Brujo will compete in this year’s event, which takes place Nov. 14-17 and will feature solo artists and jazz bands. The program includes a workshop at the University of the Arts and the launch of the book Jam Sessions by musicologist Carmen Souto. Other featured bands include Cubadentro, 5 PÁ SÁX, Miguel Ángel de Armas, Alejandro Falcón and Joaquín Betancourt’s Jazz Band. 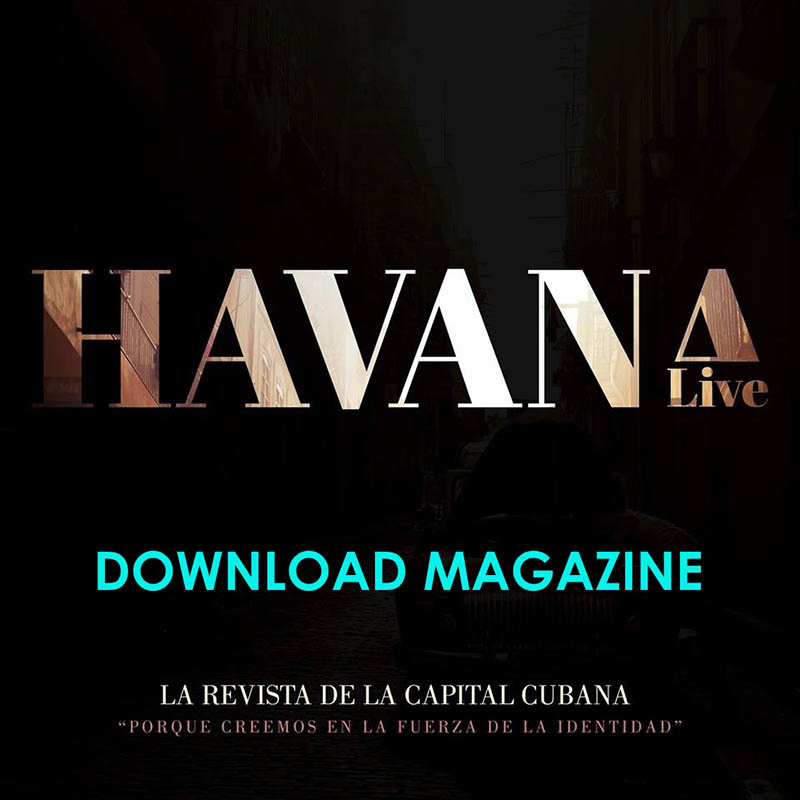 Venues include Havana’s Mella and Sala Avenida theaters and the La Zorra y el Cuervo jazz club. Responding to the needs of mushrooming private gastronomy businesses, the government allowed the creation of wholesale food markets in Havana and surrounding provinces, “in an experimental manner.” The pilot project will allow to “study other ways on a regional level,” and then expand them to the rest of the country, Communist Party daily Granma said.Decree 318, published in the Gaceta Oficial Nov. 6, allows farmers to sell their production in excess of state quotas directly to final consumers in the provinces of La Habana, Artemisa and Mayabeque. It also directs the provinces to authorize the creation of farmers’ markets, other food retail outlets, and street vendor routes for agricultural products to be sold in non-convertible Cuban Pesos (CUP). Most significant for the emerging group of private business , owners, though, is the creation of wholesale markets, and that the new regulation authorizes private food wholesalers (“vendedor mayorista de productos agropecuarios“), in addition to state farms, farm co-ops and private farmers, to sell agricultural products. This de facto recognition of private intermediaries further chips away at the state food distribution monopoly known as Acopio, and the new markets could become the prototype of a wholesale infrastructure to supply the thousands of new restaurants and other private food service providers that have sprung up on the island over the past few years.The first wholesale market will be “El Trigal” in the Havana suburb of Boyeros, Granma said. The market will begin to operate before the end of the year, with nightly opening hours from 6 p.m. through sunrise. It will be up to provincial governments — after consultation with city governments — to decide where to allow the new food markets. The new outlets are authorized to sell fresh and processed food and other farm products, except for beef, milk and other dairy products, honey, coffee, cacao and tobacco products. All products will be sold in non-convertible Cuban pesos (CUP) at unregulated prices, except for rice, beans, potatoes, garlic, onion and tomatoes, which will be sold at fixed prices. There are no limitations as to amounts sold and kind of buyers. The wholesale markets will be operated by non-agricultural service cooperatives. Self-employed Cubans will also be allowed to act as retailers on farmers’ markets and as street vendors. They may rent market stalls in CUP for a price per square meter from the market operators. Permanent retail food stores may only be operated by agricultural producers. PORT MANATEE – An officer of a company that wants to operate ferry service between Florida and Cuba Thursday outlined his plans for the Manatee County Port Authority. Leonard D. Moecklin, vice president of Havana Ferry Partners LLC, said that once legal obstacle posed by a U.S. embargo against Cuba are resolved, his company could operate fast ferries to the island nation.Each one could carry 150 passengers, plus tons of cargo, he said. “It’s time to go to Cuba,” he told the board. The U.S. Treasury Department last year rejected Moeklin’s attempt to offer ferry service during the visit to the island of Pope Benedict XVI. Business opportunities would cross many economic sectors, including transportation, construction, tourism, real estate, automotive, food and clothing, and medical supplies, he said. Port Manatee could be a hub for construction materials to be shipped to Cuba, where the whole infrastructure of the communist country needs rebuilding, Moecklin said. As for the political change needed to accomplish such an enterprise, Moecklin said it’s difficult when the two countries’ governments are not speaking to each other.The U.S. has maintained an embargo against Cuba for decades. But he said change is coming, and Port Manatee could be in the forefront if it prepares now. Cuban state tour operator Havanatur is launching flights from Havana to Villahermosa, Mexico, on Nov. 20, Cuban and Mexican media reported. The flights will be operated by regional state carrier Aerocaribbean. The twice-weekly flights on 72-seat ATR aircraft, tourism developers in the capital of Tabasco hope, will attract . European tourists vacationing in Cuba. Tickets will cost $450. In a campaign in eight Cuban cities and resorts in October with European tour operators in Cuba, tourism promoters from Tabasco highlighted archaeological tours, the Chocolate Route, and events such as the chocolate festival in Villahermosa. Thanks to New York City artist Duke Riley, the American surveillance apparatus faces a new airborne foe: the homing pigeon. Riley trained pigeons to smuggle Cuban cigars from Havana, Cuba, to Key West, Florida, while other birds filmed the 160-km journey with custom-made cameras. The pigeons and their videos will be on display in Riley’s solo show, which opens November 1 at the Magnan Metz gallery in New York. He started with 50 birds – tagging half of them as smugglers and the other half as documentarians. “A lot of the work I do seeks to create some sense of possibility or empowerment, in a humorous and romanticized way, using the simplest means possible,” Riley said. It was also Riley’s way of protesting the 51-year-old U.S. embargo against Cuba. Under the 1917 Trading with the Enemy Act, the United States has enforced economic sanctions against Cuba since 1962. Riley’s cigar project aims for more than just subversion. “I don’t want to – can I say it? – be pigeonholed,” said Riley, who has been around pigeons since he was a child. He spent years researching their role in carrying information for the military – more recently for the U.S. Navy during the Vietnam War. Still, Riley has long courted trouble with his artistic interventions. In 2007, he was arrested by the U.S. Coast Guard for approaching the Red Hook-berthed Queen Mary II cruise liner in a makeshift wooden Revolutionary War-era submarine. Riley called that project commentary on the Bush administration’s “war on terror” and the gentrification of the Brooklyn waterfront, where he works as a tattoo artist. Less than half of the original number of his trainees took part in the mission. Of the 23 birds that embarked on it, only 11 made it back – toting six Cohibas. Those cigars are now cast in resin and also on display. A 12th bird, D. Ruggero Deodato, nose-dived into Havana harbor under uncertain circumstances. The bird survived and made its way back to the United States without any cargo. Some of the pigeons are now awaiting exhibition in a bird loft at the Magnan Metz Gallery, surrounded by portraits of each of the 50 participants painted on tin shingles. The loft, installed on Monday, is decorated with parts of two shipwrecks Riley scavenged along with Key West objects like street signs and lobster traps. Joking aside, the United States will be watching. 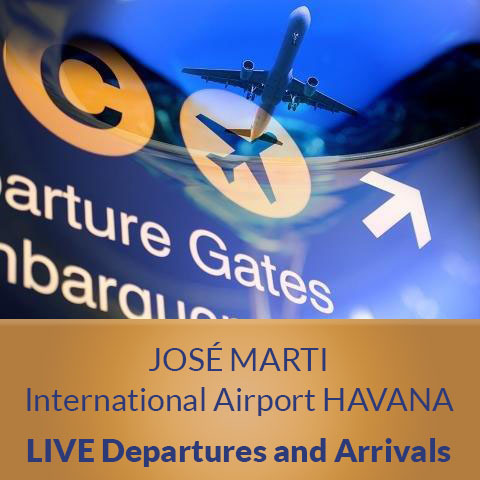 Havana, Cuba, Oct 10.- With the purpose of successfully facing up to the upcoming high tourism season in Cuba, Terminal Two of the capital’s Jose Marti International Airport (AIJM) will temporarily receive four European airlines as of October 14. The companies to be relocated are Air Europe; Air Italy, Neos (Italy) and Condor (Germany), said Juan Carlos Quintana, general director of the AIJM. In this regard, he added that these airlines currently carry out their operations at Terminal Three, which is in a stage of repair until the end of December. Cuba will host for the first time the Latin American Congress of Pharmacology and Therapeutics Latinfarma 2013, which opens this Monday in the capital with experts from the region and visitors from other countries. Doctor René Delgado, president of the organizing committee said that in this twentieth edition of the event, underway at the Havana’s Conventions’ Center until Friday, aims to contribute to the development of this specialty in Latin America. Delgado, president of the Cuban Society of Pharmacology (SCF) and the American Association of the industry, announced that the meeting will discuss issues related to pharmacology, therapeutics and related sciences, with emphasis on the development of new drugs, optimizing the existing ones and their rational use. Professionals of the biomedical and pharmaceutical industry of various nations will know Cuba advances in science and medicine in Latinfarma 2013, to be held parallel to the V Ibero-American Congress of Pharmacology. The event will include simultaneously symposia on the Teaching of Pharmacology, Update on Cancer Therapeutics, Psychiatry, Brain Damage and Neuroprotection , Immunopharmacology and Biotechnology, according to the organizing committee. More than 300 conferences are included in the scientific program as well as debates, presentations and a similar number of workshops, as well as a trade show, all aimed at professionals who do research and teach these subjects. 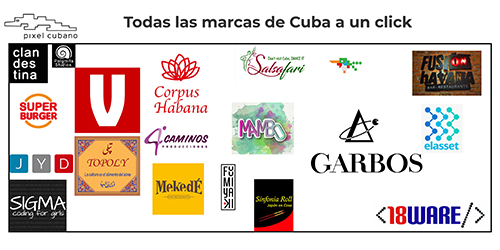 More than 110 institutions from all Cuban economic sectors will mount stands at the Thirty First Havana International Fair, which will open its doors on November 3rd. An overview of Cuba’s medical advances –both in terms of techniques and medical products– will be advanced at the Fair, providing information and trade possibilities with Cuba, being the most advanced Latin American country in that field. Havana’s International Fair accepted as one of the most important in Latin America, is sponsored by the Cuban Chamber of Commerce. 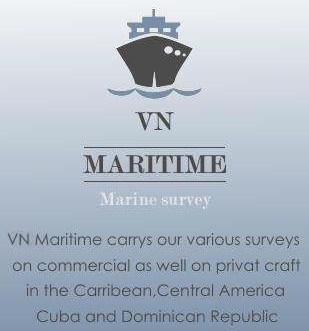 New products and services will be launched at the Fair by Cuban trade, service and industrial concerns, and the recently created Cuban Ministries of Industries and Mining and Energy will provide business opportunities. Business meetings have already been announced by joint Entrepreneurial Committees of Cuba, Spain and Russia. More than 60 countries have confirmed their attendance along with thousands of businessmen from all over the world. Rev. Jesse Jackson is in Cuba and it’s not clear how long he may stay. Jackson arrived in Havana Friday afternoon, but did not provide extensive details as to why he is visiting the country. Jackson flew to Havana on a charter flight from Miami. Gross was jailed in Cuba in December 2009 and was sentenced to 15 years in prison in 2011. Authorities said Gross installed internet networks for Jewish groups which the Cuban government considers subversive. The U.S. claimed Gross was trying to help as part of a democracy-building project. Jackson flew to Havana on a charter flight from Miami. “We will hope for the day when the walls come down and bridges are built so families can reunite again and relate with each other on real mutually respectful, mutually beneficial ways,” he told the press on arrival at Havana flagship Hotel Nacional. “We will hope for the day when the walls come down and bridges are built so families can reunite again and relate with each other on real mutually respectful, mutually beneficial ways, ” he told the press on arrival at Havana flagship Hotel Nacional.“We will hope for the day when the walls come down and bridges are built so families can reunite again and relate with each other on real mutually respectful, mutually beneficial ways,” he told the press on arrival at Havana flagship Hotel Nacional. The Council of State of Cuba, met on Thursday in the capital and passed a Decree/Law for the Mariel Special Development Zone, destined to become the main import/export gateway for Cuba’s foreign trade, said Granma newspaper. In addition to the law, the Official Gazette will publish in the coming days the port’s regulations with seven complimentary resolutions. The entire package will come into effect on November 1. The Mariel Zone,the first of its kind in Cuba, will have a “special policy” in order to “encuorage foreign and domestic investment, technological innovation and industrial concentration.” The Zone will be off-bounds to Cubans not involved in the production, commerce or the supplying of services. The first of the facilities are expected to begin operations in January 2014, including the first 700 meters of quay, said the note. HAVANA, Haitian startup carrier Sunrise Airways received permission to offer charter flights between Cuba and Haiti, Caribbean Journal reported. Sunrise will operate twice-a-week flights between Port-au-Prince and Holguín on a 19-seat Jetstream 32 aircraft. The airline was launched in November 2012 and “aims to establish a hub in Port-au-Prince,” the company says on its Website. Philippe Bayard, president of Sunrise Airways, said that he is aiming a tourists and business travelers, according to Caribbean Journal. The company also offers all-inclusive tourism packages in Cuba, through Cubatur. Sunrise plans to expand to other Cuban destinations, beyond Holguín in eastern Cuba, he said. Thousands of Cuban medical personnel work in Haiti, and many Haitians study in Cuban universities. Havana’s harbor has long been an unsightly jumble of piers left to crumble into piles of rusty, twisted rebar. Its dominant feature is a refinery smokestack across the bay that belches smoke and flame 24 hours a day. But lately demolition crews and towering cranes have been working double-time to finally tear down the ruined docks. Gentrification is already evident in the lovingly restored bayside plazas of Old Havana, and now comes an ambitious plan to turn the polluted waterfront into a gleaming promenade with restaurants, cafes and public parks. It has all been made possible because of a new port under construction west of the Cuban capital that promises to knock Havana from its perch as Cuba’s No. 1 shipping hub. Where some might bemoan the economic loss, city authorities instead see an opportunity to transform this seedy industrial zone and revitalize the depressed, densely packed Spanish colonial core. “The bay is symbolic. It is what gave birth to the city and it is part of what we are today,” said Orlando Inclan, an architect with the Havana City Historian’s Office, which is overseeing the project. “Now it’s time to redefine it.” Inclan envisions in the space of just a few years pelicans, gulls and sailboats replacing tankers, freighters and mothballed navy vessels as the main inhabitants of the harbor of Havana. Workers milled about on a recent afternoon putting finishing touches on the woodwork of the former tobacco warehouse in anticipation of the brewery’s opening in a month or so. Artists’ renderings depict a rescued ferry terminal, a modern, floating wooden boardwalk and open-air plazas that will connect the already existing cruise ship terminal and a huge arts and crafts market hall that opened several years ago. The project not only covers the abandoned docks, about half of which have already been razed, but also stretches kilometers (miles) south to shipyards that will be decommissioned, cleaned up and repurposed. “It’s a chance to reverse the deterioration of the entire southern part (of the bay), where public space, infrastructure and environmental values are lacking,” Inclan said.Havana Harbor’s industrial days have been numbered since 2009. Back then authorities determined that the purse-shaped bay, with a narrow, shallow entrance made even shallower by an automobile tunnel that traverses the mouth, could not be expanded. With Brazilian help, work began on a new $900 million port at Mariel, about 45 kilometers (30 miles) west of Havana. The city is best known for the Mariel Boatlift of 1980, when more than 100,000 Cubans fled the island by sea in the space of just six months. Designed to accommodate bigger, deeper-drafting vessels that will begin passing through an expanded Panama Canal in 2015, the Mariel port is set to open to traffic around the end of the year. The City Historian’s Office, run by powerful and well-connected Eusebio Leal, would not divulge timetables or cost figures for the Havana Harbor makeover. Arturo Lopez-Levy, a Cuban economist who lectures at the University of Denver, estimated that such a project could easily top $100 million factoring in things such as environmental cleanup and the cost of moving industrial activity. Cuba has a spotty record of following through on its grand ambitions, and money is always tight. However Leal’s office can point to a long list of accomplishments since the 1990s, when it began restoring hundreds of historic buildings and converting them into bustling hotels and restaurants, breathing life into Old Havana and making it a major attraction.Havana is planning for both its current reality — millions of Canadian and European travelers visiting each year and freighters full of Chinese goods arriving on its shores and also a day when the 51-year U.S. economic embargo is no more. When that might happen is anyone’s guess, but observers say the “forbidden island” would likely be flooded with anywhere from 1 million to 5 million American travelers a year, not to mention U.S. exporters jostling to stake a claim in a market less than 150 kilometers (100 miles) from Florida. In addition to Old Havana, Cuba has also spent millions developing beach resorts like Varadero and Cayo Coco. A beautified waterfront would add yet another lucrative attraction, said Julio Cesar Perez, a Cuban urban planner and visiting scholar at Harvard. 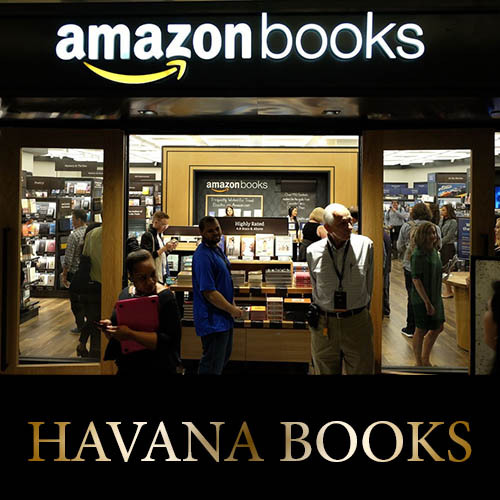 “You have to understand that by doing this you can generate wealth, value,” said Perez, who, independent of the Historian’s Office, drew up a similar master revitalization plan for Havana with the harbor as its crux. “At the same time … you need to deal with the housing problem” afflicting ordinary Cubans. Housing is chronically short across the island, nowhere more so than in cramped Old Havana. When the Historian’s Office restores old buildings, it’s always a headache figuring out how and where to rehouse families. Leal’s employees say the harbor makeover will dramatically improve life for locals especially in the seediest part of the harbor, the predominantly industrial southern bay.”Just as has happened with many cities that have transformed their waterfront, Havana has this opportunity, and right in the very center of the city,” said Claudia Castillo, another architect in Leal’s office.Authorities also have been working since 2006 on cleaning up the water itself, sealing off industrial drains and installing a treatment plant on the Luyano River that feeds into the bay. Fishermen say the improvement is significant and avian and aquatic life has notably increased, even if plastic bags and tires still lap against the seawall. Neighbors said many in the area who initially thought about selling their homes after President Raul Castro legalized the real estate market in 2011 decided to stay put upon hearing about the makeover — or significantly raised their asking prices.